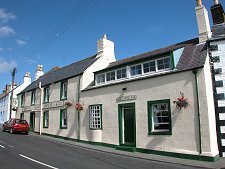 There are two surprises awaiting first time visitors to the Isle of Whithorn. The first is that this beautiful little village hiding near the southern tip of The Machars is a real gem, an old seaport with true character and a powerful sense of history. And the second surprise? Well, it's that there's no longer an isle at the Isle of Whithorn. Harbour improvements in 1790 included the building of a causeway linking island with mainland, on which parts of the village have since been built. 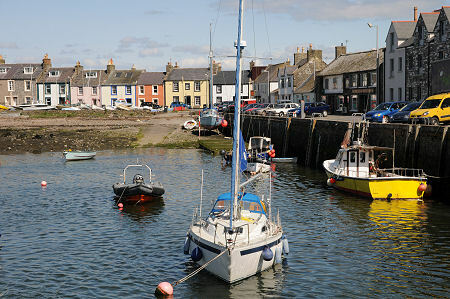 For many centuries the Isle of Whithorn's main role was to service the seaborne traffic bound to and from the important centre of Whithorn, some three miles to the north west. Following the harbour improvements of the 1790s it was the home port for up to a dozen trading vessels. 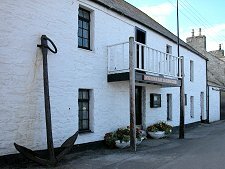 In the 1800s Isle of Whithorn had strong trade links with Ireland and the Isle of Man, and ships were being built as well as sailed from here. 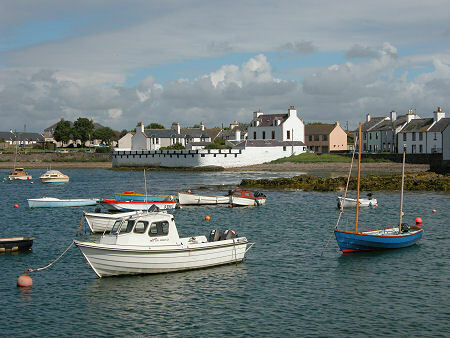 By the end of the 1900s trading vessels had given way almost entirely to yachts, and Isle of Whithorn is now home to the Wigtown Bay Sailing Club. Fishing also remains an important part of the local economy. The risks involved in this are highlighted poignantly by a Galloway granite memorial seat on the isle. This commemorates the seven local men who lost their lives when the Kirkcudbright based fishing vessel Solway Harvester sank off the coast of the Isle of Man on 11 January 2000. This memorial is fittingly placed close to the remains of St Ninian's Chapel. For many this is the spiritual heart of Isle of Whithorn: and it is certainly the reason why the sense of history is felt so strongly here. 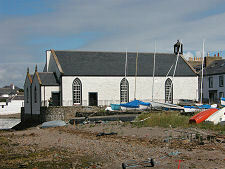 St Ninian founded the first Christian church in Britain, probably in the AD390s. Some have also suggested that after training in Rome, St Ninian first set foot in Scotland when landing from a boat at the Isle of Whithorn: while others say he landed in a bay beside St Ninian's Cave, three miles to the west. 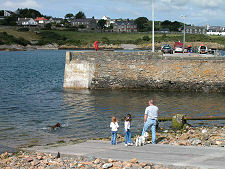 The focus of the village itself is its harbour. 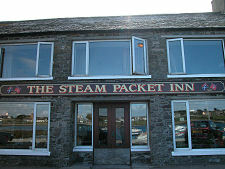 This is overlooked from the quayside by a line of buildings including the Steam Packet Inn and the yacht club. Around the corner is the Isle of Whithorn Church, dating back to 1834. It is easy to forget that a number of the buildings near the angle of the harbour are built on the 1790 causeway. 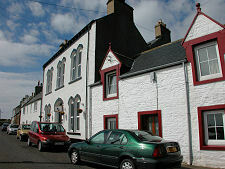 Still further round the harbour is one of the village's most distinctive features, the white wall of the "Captain's Garden". This is a walled garden that extends out into the harbour to well beyond the high tide mark. A little further again and you see Isle of Whithorn Castle, whose roof protrudes above the lower buildings closer to the harbourside. This is an L-plan tower house dating back to the 1600s. Meanwhile the old Queens Arms Hotel, on the main road to the west, has become an art gallery and studio since our last visit.